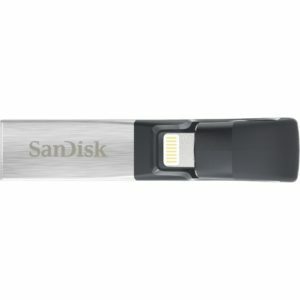 SanDisk iXpand Flash Drive 64GB for iPhone and iPad, Black/Silver, (SDIX30N-064G-GN6NN) is now available at Amazon.com for just $41.12 (REG $79.99) (As of 01 February 2019, 17:34 PST – Details) with $38.87 (49%) Savings. 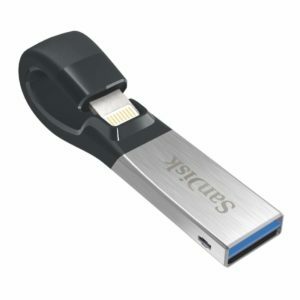 Quickly free up space on your iPhone (iPhone 5, iPhone 5c, iPhone 5s, iPhone 6, iPhone 6 Plus, iPhone 6s, iPhone 6s Plus, iPhone SE, iPad Air, iPad mini, iPad mini 4, iPad Pro 12.9″, iPad Pro 9.7″ iPad with Retina display, iPod 5th Generation and newer, with Lightning connector and iOS 8.2+). 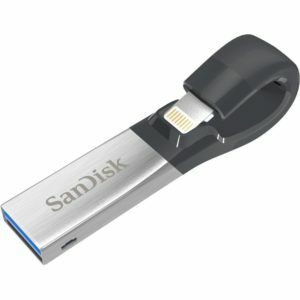 High-speed USB 3.0 transfer to and from your computer. Operating temperature: 0-35 °C functional. Easily manage your photos and videos with the iXpand Drive app. 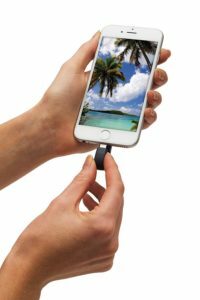 Just plug in iXpand to start moving photos and videos off your iPhone¹. 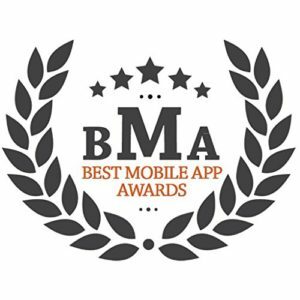 ¹ iPhone 5, iPhone 5c, iPhone 5s, iPhone 6, iPhone 6 Plus, iPhone 6s, iPhone 6s Plus, iPhone 7, iPad Air, iPad mini, iPad mini 4, iPad Pro, iPad with Retina display, iPod 5th Generation and newer; iXpand Drive app and iOS 8.2 required. Automatically back up your latest photos and videos every time you plug in iXpand². ² Available for download from the App Store. iOS 8.2 required. Setup automatic backup within app settings. Use the in-app camera to save photos and videos directly to iXpand so you can free up your phone’s memory for other things.